Throughout times of uncertainty in the economy, it is often prudent for business leaders to diversify their companies' products, services and markets to mitigate their risk exposure. In the same way that many businesses are now adjusting their strategic outlook in light of Brexit, others are using the opportunity to enter into new markets. Following a similar period of uncertainty in 2015, after the global oil and gas price crashed, load bank specialist Crestchic and power distribution specialist ide Systems teamed up to take on the Middle East power rental market. It may come as a surprise to learn that some of the world's biggest companies started out life in a very different form to the brands we know and love today. For example, Twitter started life as a podcasting service, Starbucks used to sell coffee machines, Nokia began as a paper mill, Hewlett-Packard specialised in electrical testing products and even Apple teetered on the brink of bankruptcy before Steve Jobs launched the iPod. Similarly, Crestchic found itself in need of an adjustment to its business model when the global price of oil and gas crashed. One of a group of companies owned by AIM-listed Northbridge Industrial Services, Crestchic is the world's largest specialist load bank manufacturer, having sold and hired equipment to companies worldwide for over 25 years. "Following the oil price crash, our parent company Northbridge faced a growing risk-exposure to a portion of its investment portfolio, which consists of businesses serving the oil and gas market," explained Chris Caldwell, European rental director of Crestchic. "To mitigate this risk, we adjusted Crestchic's strategic focus to capitalise on the growing power market." The rapid growth of social media, online services and cloud computing in recent years has given rise to an increasing dependence on temporary and emergency backup power supplies, which are used to power the new wave of data centres. This is particularly true in applications such as financial services, hospitals and commercial buildings. Here, the use of load banks to test mission-critical power supplies is equally as important as the power supplies themselves. With a product range designed and manufactured in the UK, Crestchic has established successful rental operations in countries including the UK, France, Germany, Singapore, China and the USA. Generator rental companies typically purchase Crestchic's load banks, transformers and critical testing equipment to fill a shortfall in their supply inventory. As part of its diversification strategy, Crestchic spotted an opportunity to gain increased market penetration in the Middle East where Northbridge already operated a Crestchic Middle East (CME) rental fulfilment warehouse, as well as Tasman, an oil and gas tools business, in Jebel Ali, UAE. In order to deliver a full portfolio of rental equipment, Crestchic turned to power-distribution specialist ide Systems. 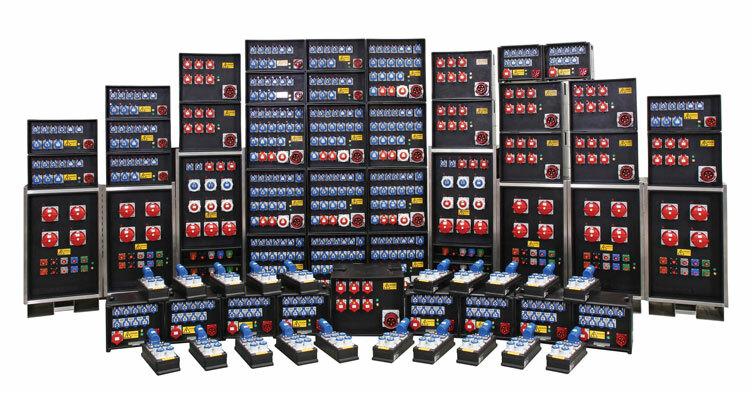 Based in Cannock, Staffordshire, with outlets in London and Glasgow, ide Systems specialises in the rental and bespoke engineering of products including distribution boards, changeover systems, inline protection, and cabling. They typically supply sectors such as events, construction, commerce, healthcare, and military. He added: "Our research in the Middle East showed that it was ideally located to make a significant impact on the rental market and provide easy access to neighbouring regions including North Africa and India, as well as the wider Middle East and Asia." Many GCC countries are still recovering from the 2009 global economic crisis, with average economic growth in the region forecast at 1.8% according to the International Monetary Fund (IMF). Countering this trend, Dubai has certainly bounced back much faster thanks to its more diversified economy and is now set to experience 3.7% economic growth in 2016. This is despite estimates by the IMF showing that low oil prices in the Arabian Gulf will result in the loss of $140bn in export revenue. Part of the reason why Dubai has bucked the economic downturn is the government's creation of economic hubs such as the Jebel Ali Free Zone (JAFZA). Boasting one of the Middle East's busiest ports, the Jebel Ali Free Zone is a state-owned free economic zone designed to provide foreign businesses with a low-tax, low-bureaucracy, environment that delivers extensive infrastructure supported by excellent logistics. Taking advantage of this opportunity, ide Systems provided a suite of electrical equipment ranging from power distribution boards, automatic changeover systems, switches, inline protection, cabling and more. "However, simply supplying the equipment was not enough," continued Thomas. "We faced some key challenges unique to the Middle East. We had to make some minor modifications to the equipment to withstand the extreme temperatures, especially for outdoor use and at events. "Because the ambient temperatures can potentially cause internal components to fail, we adapted the equipment to include forced ventilation and added solar-gain shields to the housing to limit thermal issues. Many of the larger power distribution boards also needed to be adapted with caster wheels, trolleys and cradles for larger corporate events." As well as making technical modifications, the weaker regulatory framework in the region posed a challenge. To overcome this problem, the company ensured that all equipment was tested and certified to the highest levels, going beyond the regulatory requirements. "One of the weaknesses of the Middle East rental market is that many providers simply don't test equipment properly," explained Thomas. "This means that businesses who want to rent equipment cannot be entirely sure whether it was tested 12 hours ago or 12 months ago. "To overcome this, we replicated the success of our testing procedures used in all of our other rental facilities across the world. When a piece of rental equipment comes back, our rental engineers immediately clean and service the equipment before completing a series of compliance tests. These tests ensure that the equipment continues to operate within regulatory limits. Variables such as electrical insulation and system-polarity, as well components such as the residual circuit device (RCD) — a device that protects against electrical shock — are all tested, before electronic certification is issued. Only once this has been done, is the product is ready to be hired out to the next customer." The final challenge the team faced was after sales service. If equipment malfunctions during use, the typical response is to send out a factory engineer — the specialist involved in the manufacturing process — from the UK to the customer site. However, this is neither time-efficient nor cost effective in the long term. "Although our rental engineers — those individuals running the day-to-day rental operations at the Jebel Ali site — are well trained, we often need to call on the expertise of the factory engineers," explained Caldwell. 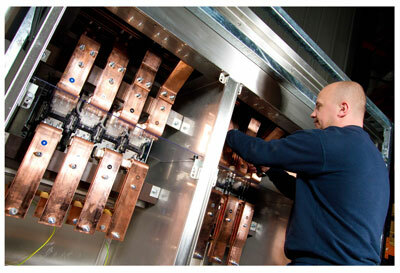 "This is particularly important for jobs where bespoke equipment has been supplied. To limit our reliance on callouts, especially for jobs where equipment can be replaced or alternatives installed, ide Systems made sure that the widest possible range of rental equipment was available." Having overcome the challenges, the joint venture delivered on its promises. Not only have both companies won new contracts to supply some of the biggest temporary power businesses in the region, customer feedback has also been positive. "Our customers are telling us they are finally happy to have a one-stop-shop for their rental needs in the region," said Caldwell. "Before we set up shop, one of the biggest difficulties customers had when they experienced a shortfall was having to approach their competitors. This left them in a difficult position where they could neither negotiate for preferred equipment nor on price." The joint venture has helped Crestchic mitigate its group's risk exposure and expand into wider segments of the critical power market for data centres, financial services, commercial cloud computing and IT. Similarly, ide Systems, having already secured contracts to supply businesses in the Philippines and South Korea, is now looking to replicate this success in countries such as Australia. "My advice to other business leaders thinking about using joint ventures is to pick your partners well," continued Caldwell. "Having a good understanding of the market, of manufacturing standards, of testing regimes and working with someone who shares your vision is vital. Choose and develop your products wisely and do your market research before taking the plunge. By doing that, you can ensure that the whole is greater than the sum of its parts." While Brexit continues to have political and economic implications for businesses across the world, it also highlights the importance of taking a globalised approach. By using tactics such as joint ventures, businesses can dip their proverbial toe in the water without taking on the business-risk in the process. And who knows, it might even lead to a previously undiscovered and much welcomed new change of direction. What can electronics manufacturers expect in 2019?